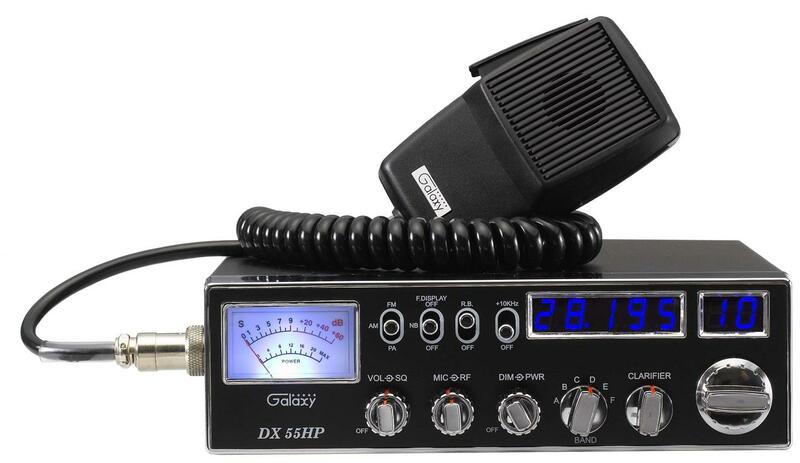 Galaxy DX55HP 10 Meter Radio - The DX55HP is the updated version of the older DX55V. The biggest advantage to the new version is that they've doubled the power output. The 55HP now boasts 45 watts modulation and 2-15 watts deadkey. Like most newer radios they've also switched out all the green LED's and lights to blue. You also get a dimmer control so you can turn down the lights so they're not so hard on the eyes at night. There's even a 5 digit frequency counter to help you easily find the channel and band you need to be on. All in all, an excellent radio for not a lot of dough.